On the same day Trump rolled back Obamacare, his new plans had millions of women pounding the pavement, burning calories, improving their waistlines and lowering their risk of cardiovascular disease. The third week of the year is known to be the time most people let their New Years resolutions slide, but millions of American women powered through that sticking point, proving that Trump is going to make America slim again. 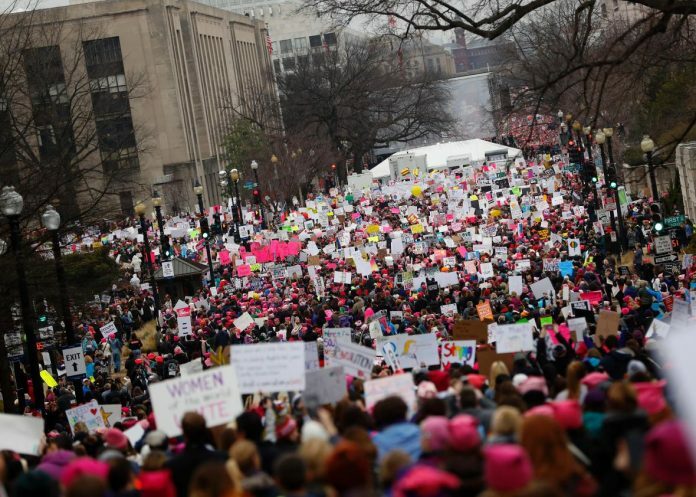 Washington D.C. was jam-packed with active women from the early hours of the morning, with many donning trainers, pink beanies and sportswear. Others headed downtown on foot, rollerblades and bicycles, with many having travelled through the night to get started at the crack of dawn. In particularly enthusiastic corners of the march, the police got their mace out and many of the women performed interval training in the form of short sprints – a well known natural growth hormone booster that burns fat and promotes youthfulness. The United States has the dubious distinction of being the eighth most obese nation in the world, but that is set to change on Trump’s watch. 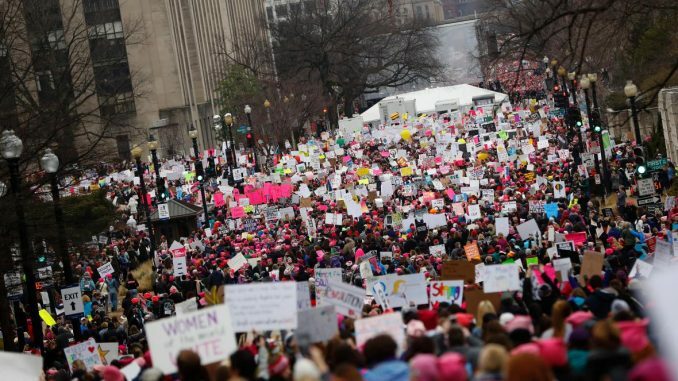 However as impressive as the weekend’s turnout was, it should not be forgotten that it was dwarfed by the 30 million women who marched to the polls on November 7 and cast ballots for Trump.